With this untraditional sausage, each bite starts sweet and then ends with a spicy kick -- definitely not your lola's longganisa. A familiar yet distinctive taste in a new format, this skinless longganisa can be eaten fried or grilled, alone or as a viand, in a sandwich or with rice, mixed as an ingredient in a dish or as the dish itself. It's as versatile as the modern city slicker! 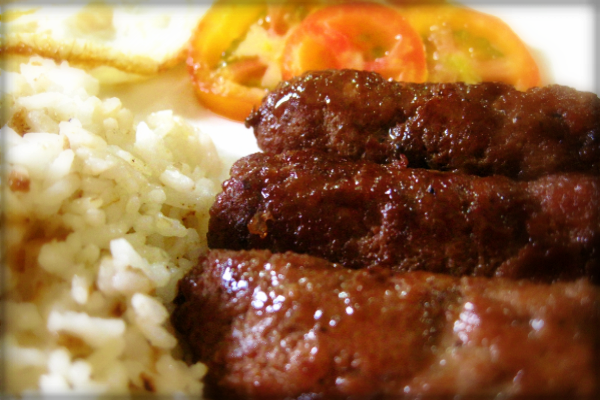 Skinless Longganisa is very ideal for breakfast with fried rice or sinangag, and eggs on the side, as well as side dishes like atchara or pipino – which is famously called LONGSILOG (Longganisa, sinangag, itlog). 3. Store in the freezer for 3 hours or until ready to cook. 4. When ready to cook, heat oil in a wok or frying-pan. 5. Unwrap the sausages and fry in batches in hot oil until fully cooked. Drain on paper towels. *Garnish with spring onion, if desired, and served with rice and tomatoes or Garlic-Vinegar Dip. These sausages can also be frozen until needed.